We welcome you to our Aesthetic MedSpa featuring medical and cosmetic treatments. Beauty Marx Aesthetic MedSpa exists simply to provide confidence to the women and men who put their trust in us. We accomplish this by utilizing the most innovative and current methods to create the best version of you. We specialize in Xtreme Eyelash Extensions, Brow Shaping, Microblading, Permanent Makeup (new and corrective), Tinting, Waxing,Laser treatments (for hair removal, skin discoloration, acne and more), Botox, Fillers, Kybella, Hair Regrowth, Absorbable PDO Sutures NovaThreads for skin tightening Thread Lift, Non-Invasive Facelifts Plate-Rich Plasma PRP Therapy (PRP Injections), SculpSure & RF Body Contouring, RF Vaginal Rejuvenation, IVInfusion Therapy Wellness and more. ​For your convenience you may book appointments at our medical spa online or feel free to call the office at 215-422-3690. 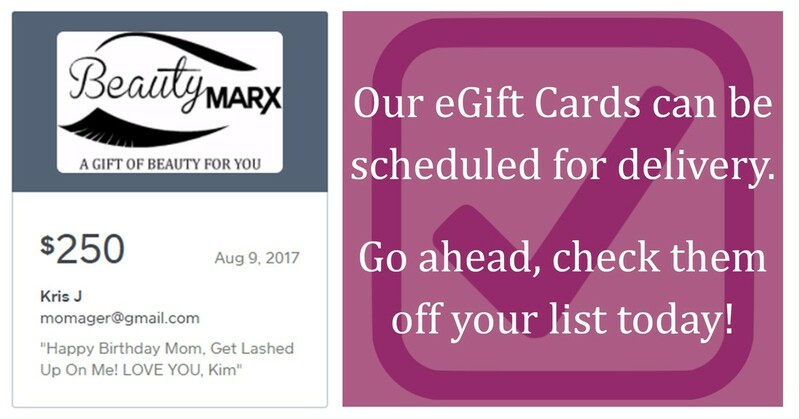 Beauty Marx also offers online gift cards that you may purchase here; send immediately or schedule electronic delivery for that special day.